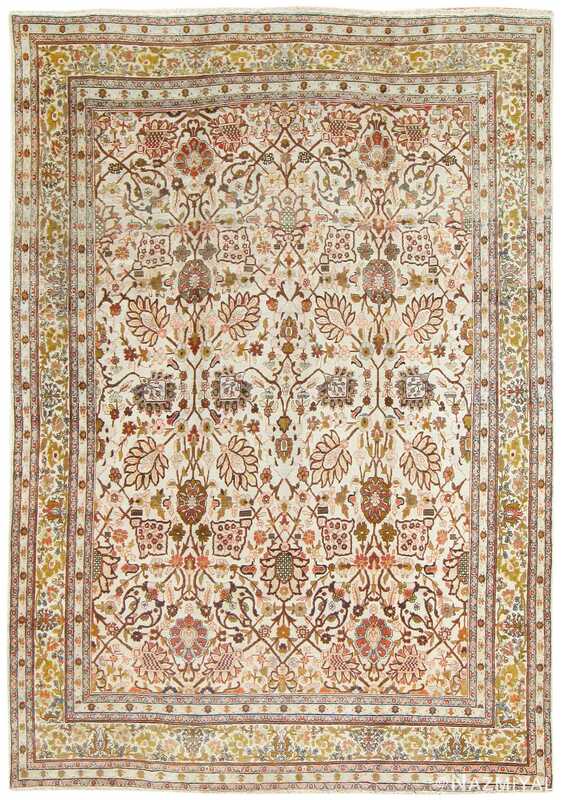 Magnificent Ivory Antique Haji Jalili Tabriz Persian Rug 49346, Country of Origin / Rug Type: Persian Rug, Circa Date: 1880 – Exquisite details abound in this antique Persian Tabriz Haji Jalili rug, and the viewer is taken on a magical journey as they navigate the twists and turns of the delightful foreground. 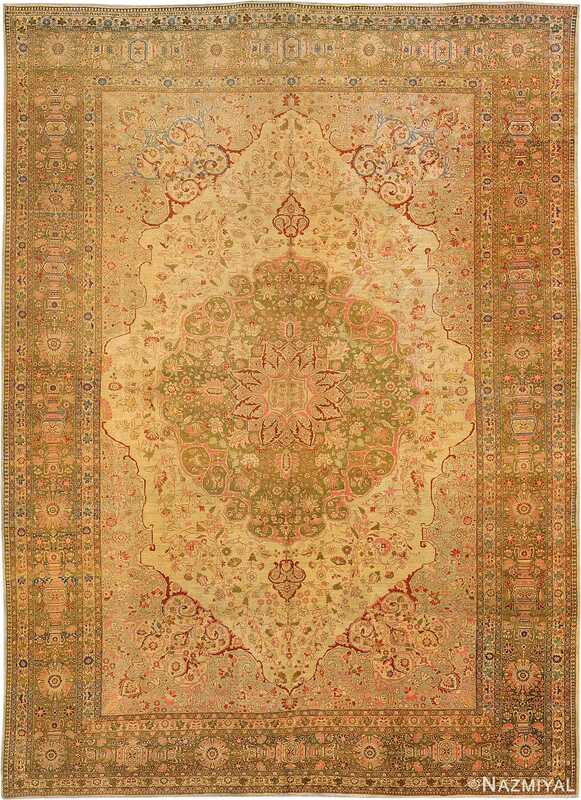 Several thinner borders frame around the largest one, resulting in an antique area rug with a striking mosaic effect that is meant to captivate the viewer’s attention. 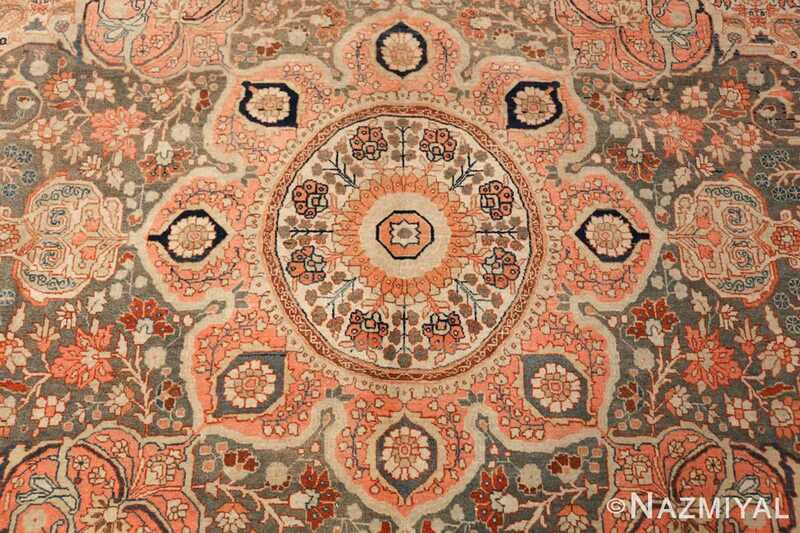 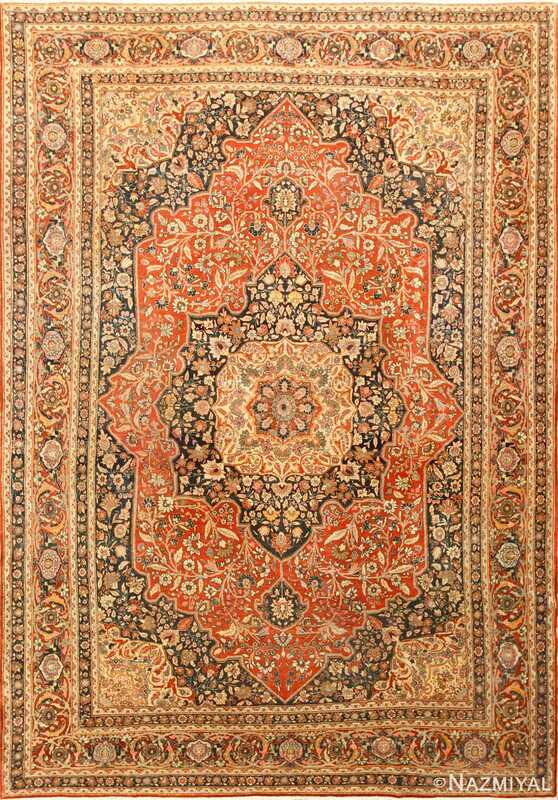 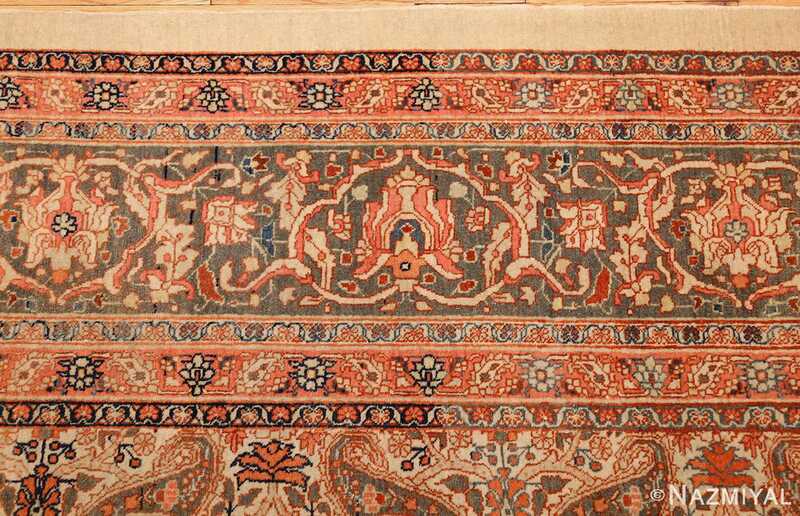 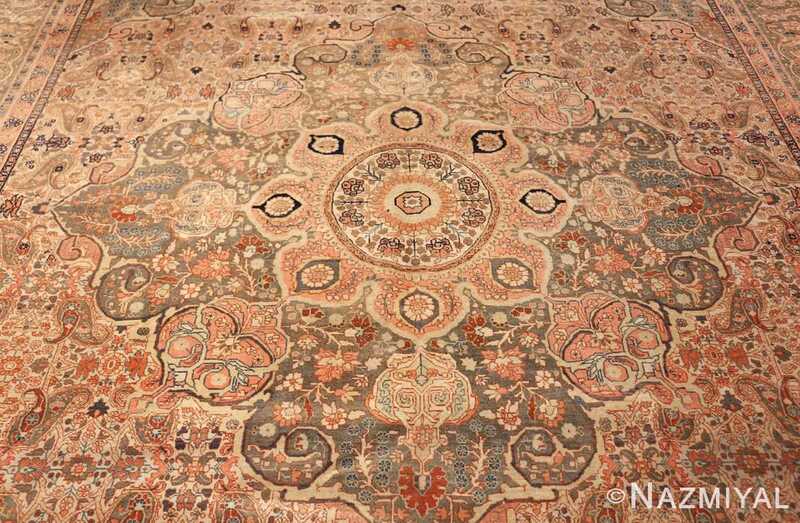 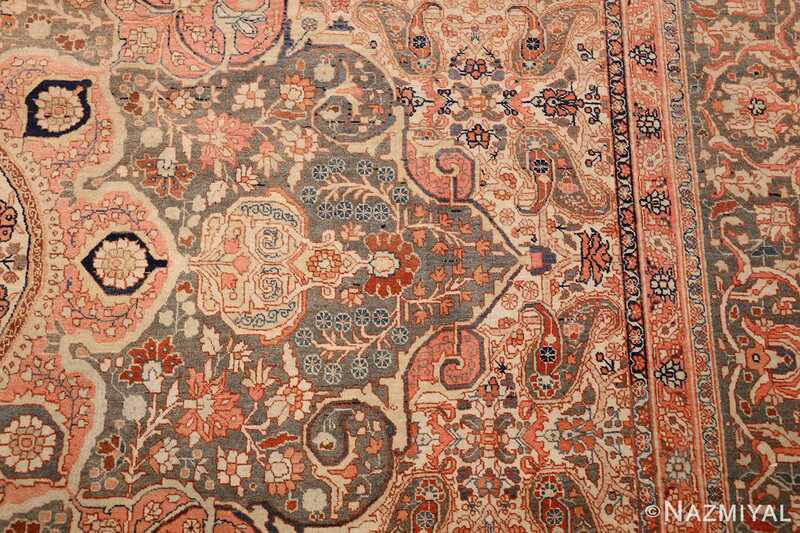 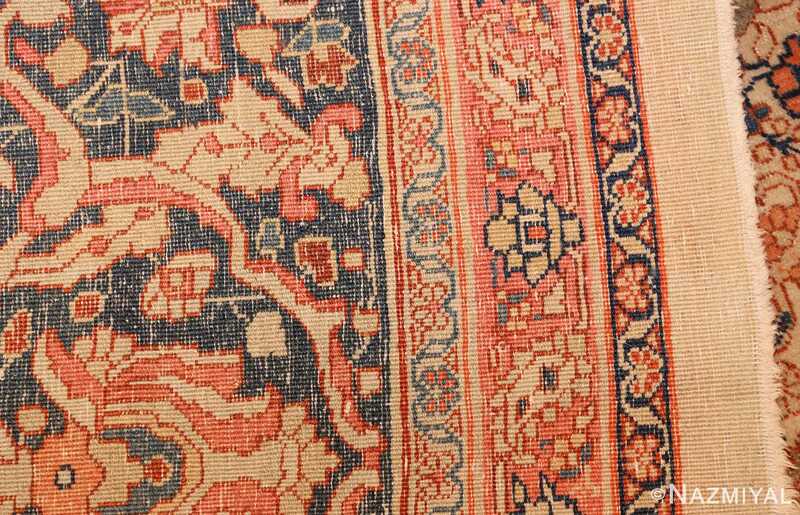 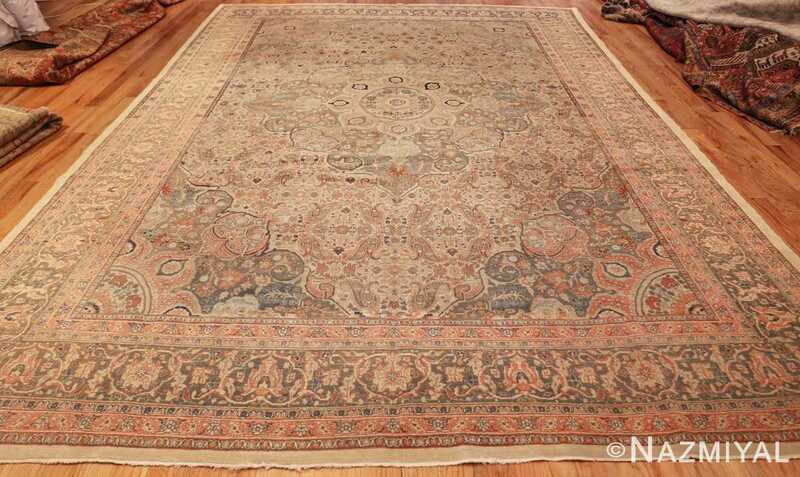 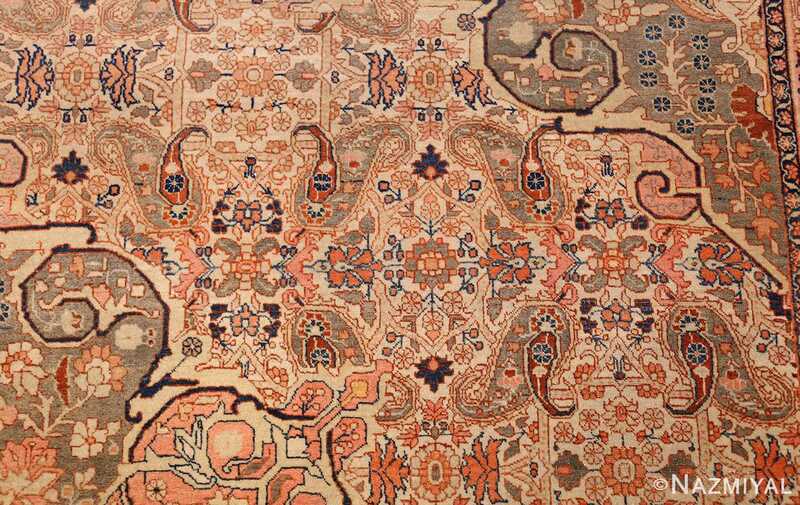 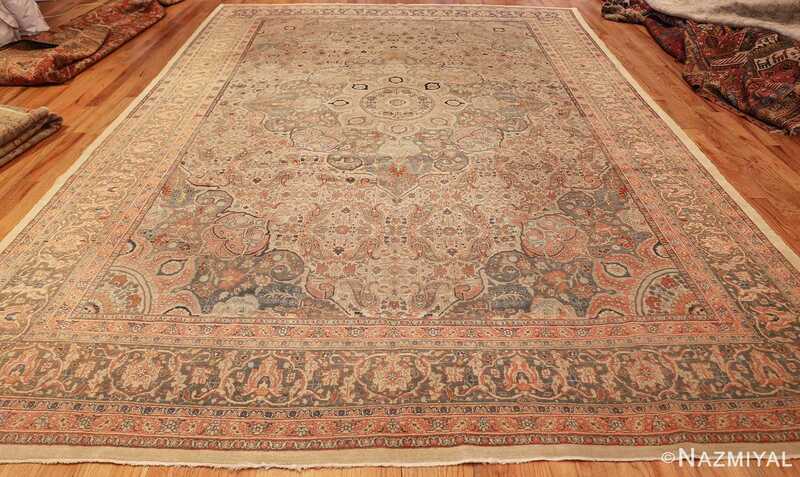 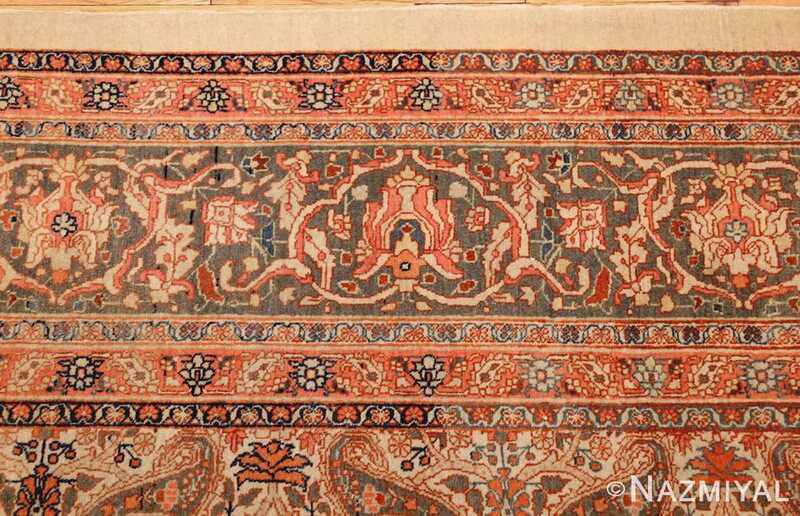 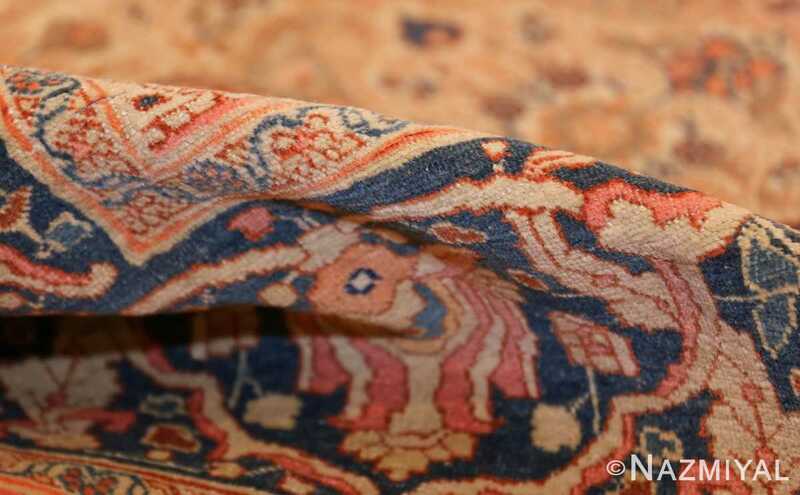 As the attention is led to the center of the antique Persian Tabriz rug, the motifs become even more recognizable in their attractive composition. 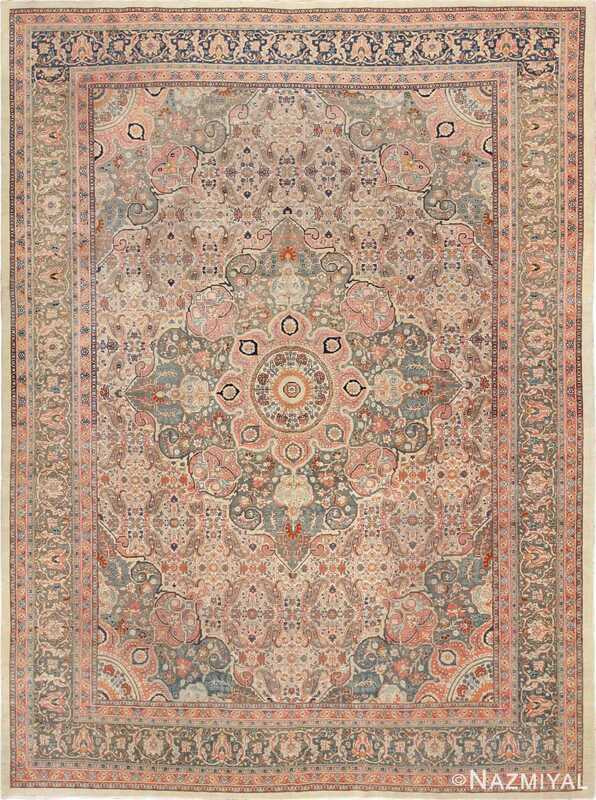 Though there are many smaller motions that are meant to create the foreground network of this fine Persian rug, there are still plenty of landmarks set throughout that are meant to provide quick recognition as a way to ground the viewer on their journey.